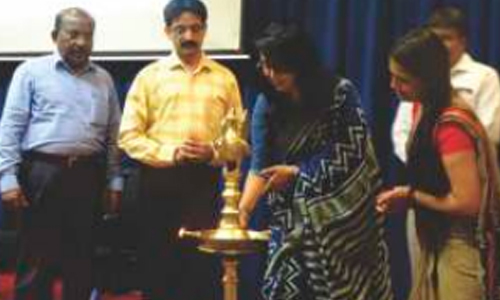 Trivandrum Management Association has organised a One Day seminar on “Research” by Dr. Jebamalai Vinanchiarachi, Former Principal Adviser to the Director General, UNIDO, Vienna, Austria held on 28th April 2018 at, Chamber Hall, Kowdiar, Trivandrum, which was inaugurated by Dr. Usha Titus, IAS, Principal Secretary, Department of Higher Education, Govt. of Kerala, and the program was well attended and received by the delegates. 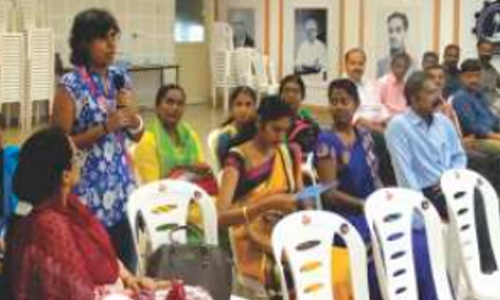 Dr. Usha Titus, IAS, Principal Secretary, Department of Higher Education, Govt. of Kerala, and the program, inaugurating the event.